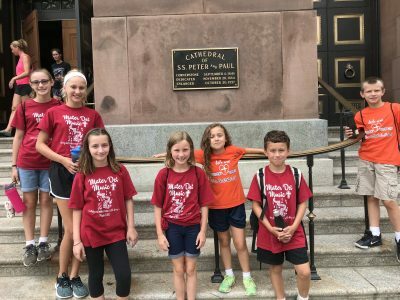 This camp is open to all boys and girls throughout the Archdiocese, ages 7-15. 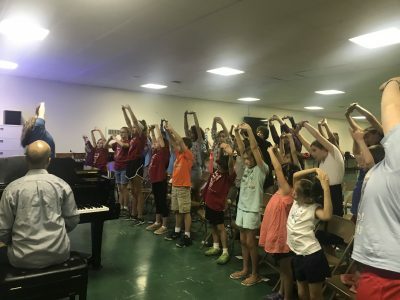 Our camp provides a unique musical experience, which includes an introduction to sacred repertoire, vocal breathing techniques, vowel formation, choral tone, sight singing and music theory. 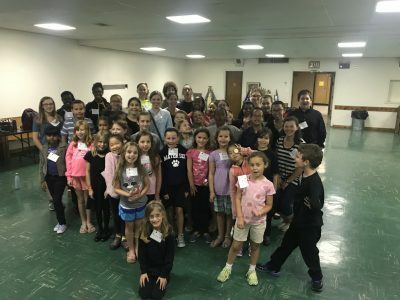 In our inaugural year, our Cantate Domino Choir camp had 52 choristers from all over the Archdiocese. Don’t miss this amazing experience! 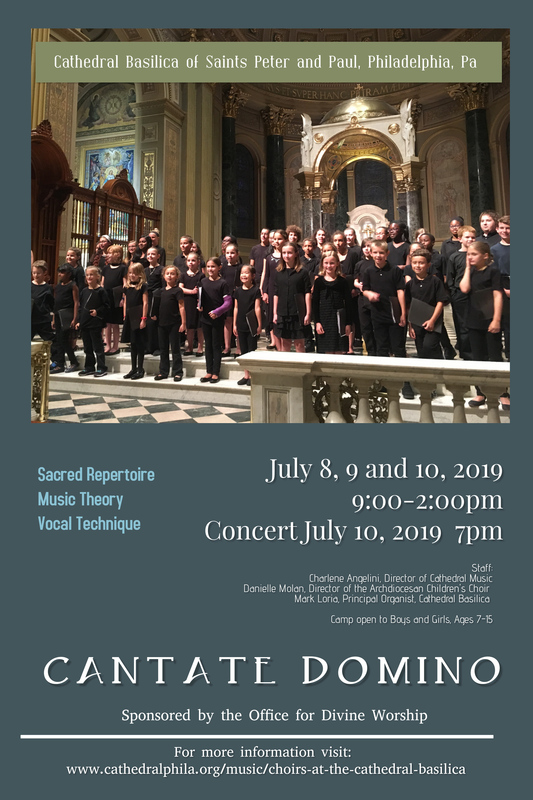 The camp will conclude with a concert at 7 pm on Wednesday evening, July 10, 2019. $75 for the first child, $50 for each additional child. 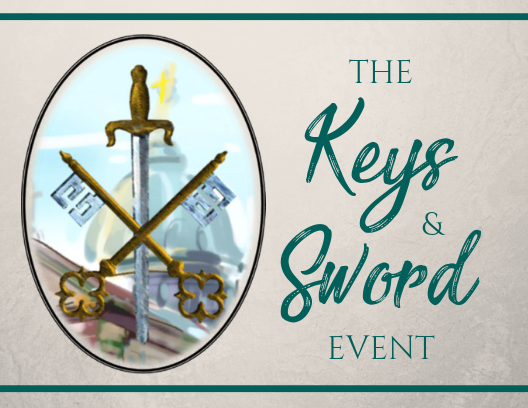 EARLY REGISTRATION DISCOUNT — $60 for the first child, $45 for each additional child, if registered before June 1, 2019. 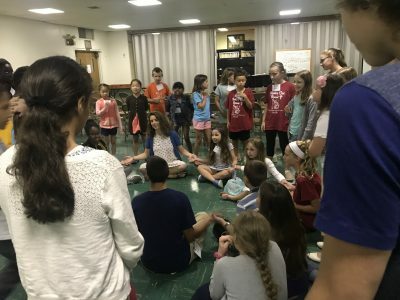 Camp curriculum officially starts at 9:00am and ends at 2:00pm on July 8, 9, and 10, 2019. Tuition and registration forms must be received by July 1, 2019. Auditions: Please contact Charlene Angelini at cangelini@archphila.org for more information. 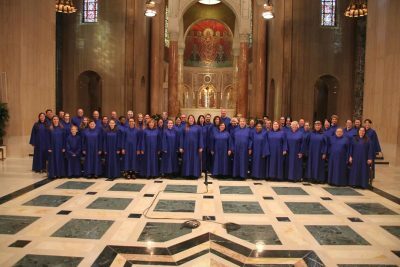 Sings for the major liturgies of the Archdiocese and rehearses two Monday evenings per month. 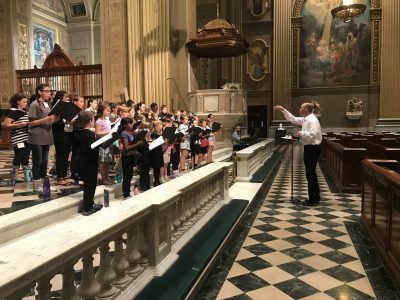 The Archdiocesan Children’s Choir sings for major liturgies of the Archdiocese of Philadelphia as well as one liturgy per month at the Cathedral Basilica of Saints Peter and Paul. 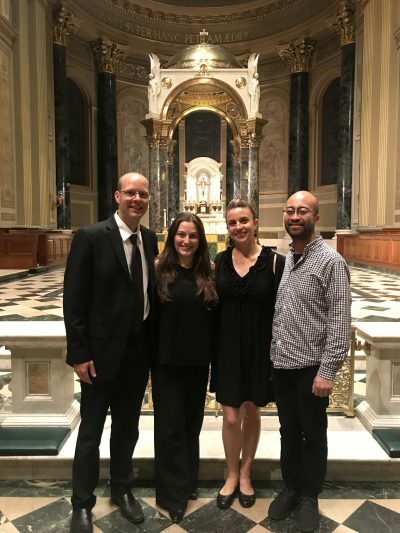 The choir also accepts invitations from parishes across the Archdiocese to sing for liturgies of particular significance to the parish community and they perform in concerts both in the greater Philadelphia area and beyond. 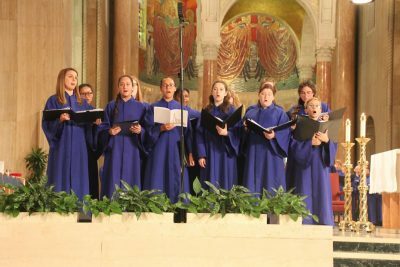 They were an important part of the World Meeting of Families and Papal Masses in September 2015, and traveled to Rome to sing for the Pope as part of the International Children’s Festival for Epiphany 2016. 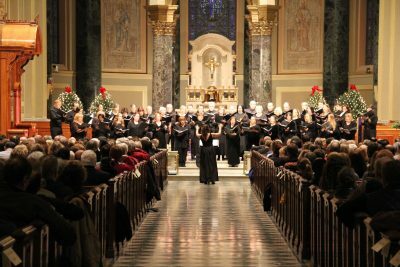 The Archdiocesan Boy Choir was founded in 1969 by Dr. Peter LaManna at the request of John Cardinal Krol. 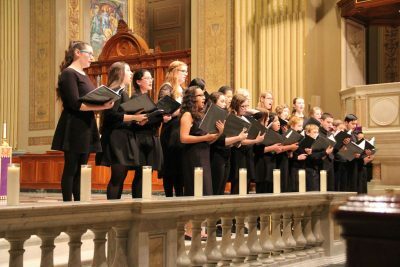 The Archdiocesan Girls Choir was founded in 2012 by Dr. John A Romeri. 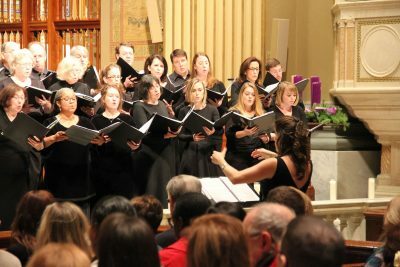 The two choirs were combined into one choir in 2014. 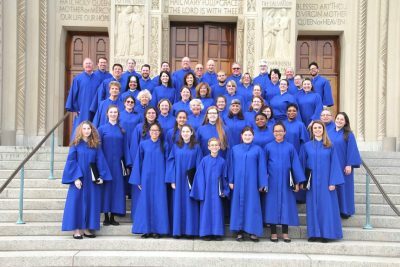 Rehearsals are held two to three Saturdays per month, 10 AM – noon. 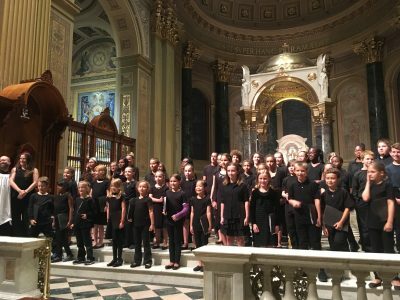 As of Fall 2018, there are two divisions of the Archdiocesan Children’s Choir — the Junior and Senior Choirs. The distinction for each group is based upon age, musical experience and note-reading. Children may audition beginning in Grade 3. 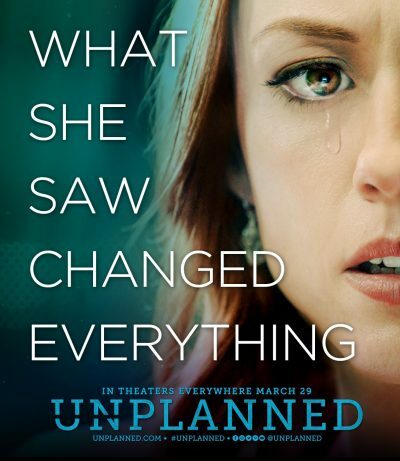 For an audition, call 215-587-3537.